Maximum Motorsports Mustang K-Member Package - Koni/Tokico - 10" 325lb (79-89) MMKMP-42 325-10"
Reduce front end weight while improving handling with this 1979-1989 Mustang Maximum Motorsports K-Member package! 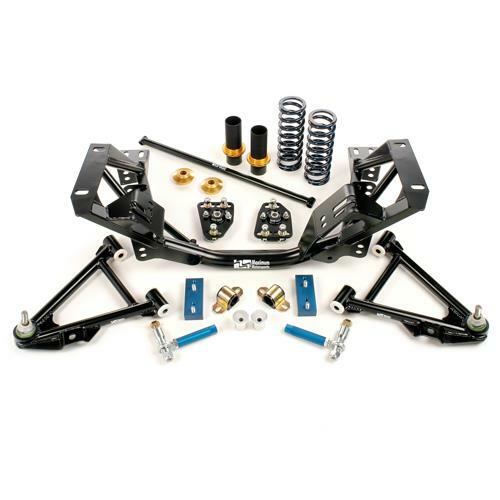 Improve suspension geometry while reducing front end weight with this 1979-1989 Mustang k-member package from Maximum Motorsports! Your factory suspension components are heavy and leave much to be desired in the handling department. Maximum Motorsports leads the industry in suspension design and engineering for your Mustang. This kit includes vital suspension upgrades to drastically improve your driving experience!